Not an online pharmacy, it’s OUR pharmacy, ONLINE! 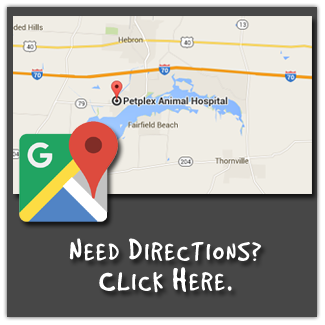 Petplex Animal Hospital is excited to offer our partnership with VetSourse! 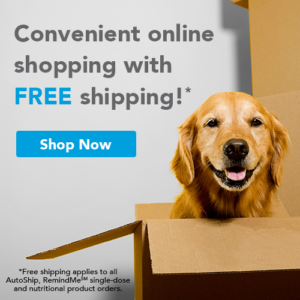 Home delivery of your pets’ medications makes life easier. However, it doesn’t always make things safe. Many online pharmacies sell medications that look and sound the same as the ones we prescribe but, in fact, are very different (see the GOA report on rogue online pharmacies). That creates a scary situation for you and the pets you love. That’s why we’re happy to now offer you home delivery of your pets’ medications, from a source you can trust: a source with licensed pharmacists, certified to meet standards of legality, safety and transparency, and meets PCI DSS security standards for YOUR peace of mind. The same standards of safety and quality we demand for our pharmacy, at competitive pricing! Our home delivery is powered by VetSource, which means you can count on your pets’ medications being checked and double-checked by licensed pharmacists to make sure they’re accurate and won’t react with any other meds your pet may be taking. It also means that the medications you receive are the exact same medications you’d get inside our hospital, with the exact same guarantee.